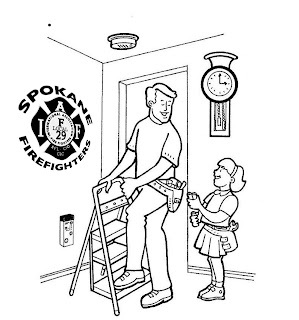 Change your clock tonight and your smoke detector battery. Click to download this coloring page. Fun for the whole family. Don't forget to pick up YES EMS yard signs! This is what our billboards are going to look like. They will be up by the time ballots go out. Don't forget to make a contribution to the Citizens for EMS fund if you can. Door hangers are on their way! 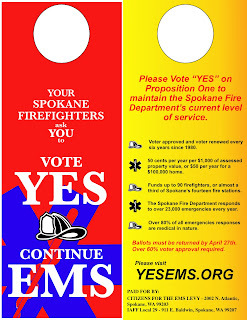 Front and back sides of YesEms hangers. Click to view a larger jpeg. 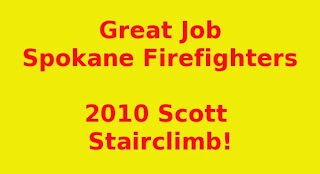 Great job stair climbers!! 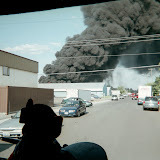 Nice video from KREM 2!